Good college but its clerk and accountant are so bad in this college of the but our principal is good and management dept also good and comfort table. 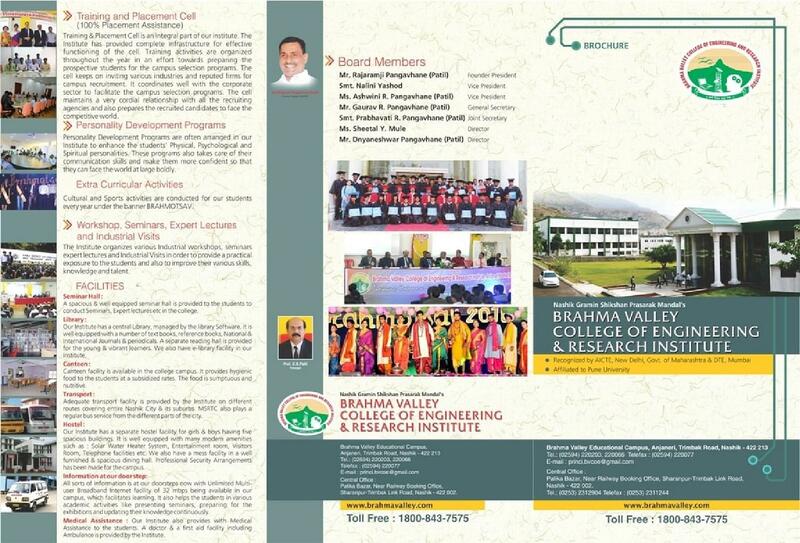 Brahma Valley College of Engineering & Research Institute, Nasik was established in 2008 under Brahma Valley Educational Campus. 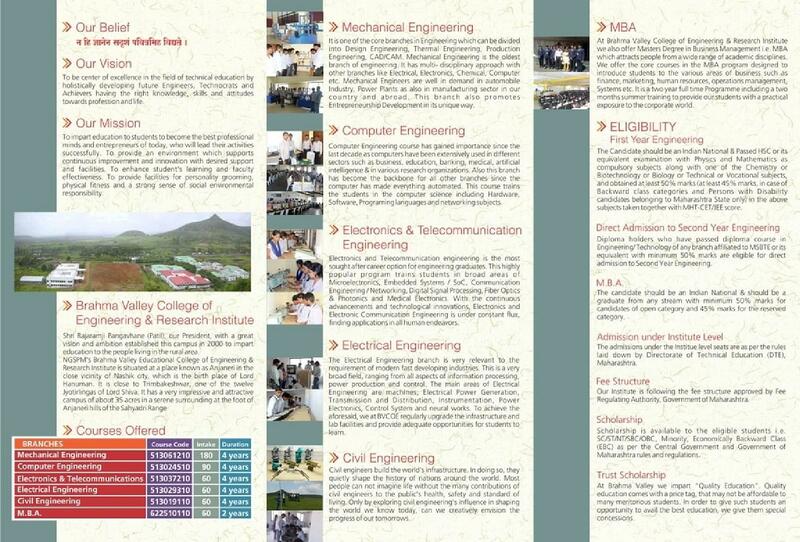 It is affiliated to Savitribai Phule Pune University, Pune. It is approved by All India Council for Technical Education (AICTE), New Delhi and recognised by Directorate of Technical Education (DTE), Government of Maharashtra. The college's vision is to create a center of excellence in the field of technical education by holistically developing future engineers, technocrats, achievers having the right knowledge, skills and attitudes towards profession and life. The mission of the college is to impart education to students to become the best professional minds and entrepreneurs of today who will lead their activities successfully. It is located in the outskirts of Anjaneri, on the Trimbakeshwar Highway, Nashik comprising a sprawling campus of about 35 acres land.It is 180 km form Aurangabad City, 20 km from Nasik railway station and 40 km from Ozar Mig Airport. 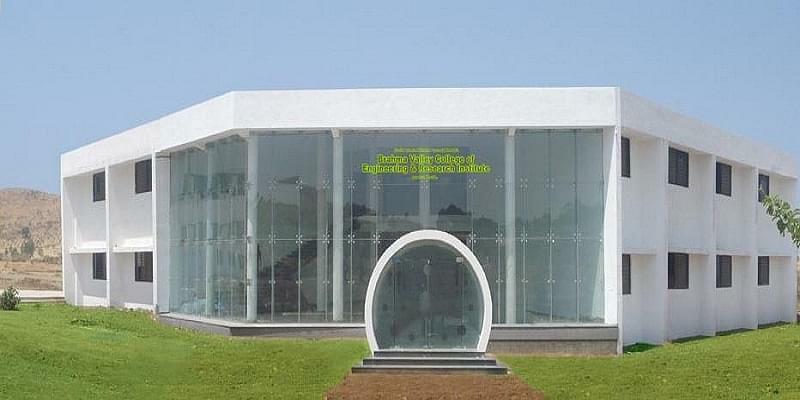 The institute has a Sir Vishwesvaraya Digital auditorium with a seating capacity of 250 persons. The Central Library spread has a collection of over more than 2326 titles and 7107 volumes of books. It subscribes to 48 national and 24 international journals. It provide access to online periodicals and e- journals. Available for both boys and girls student separately with accommodation capacity of 600 male and 400 female students.